I’m not supposed to say this. After all. I’m white. And male. And conservative. So, by default, I’m part of the problem. Guilty. Of something. Even though the Jussie Smollett story was a total hoax, we are to believe that it revealed the real problem in America. Angry white supremacists are destroying the country. Voting for Trump is akin to membership in the KKK. War has been declared against the African American community. Nothing can threaten that narrative. And so, even if the Smollett story is false, it’s actually still true. At least some pundits wish it was. It so wonderfully confirmed their biases and prejudices. In the aftermath of the Smollett debacle, then, rather than deep soul searching, for some (like CNN’s Van Jones), there’s only one concern: How will this affect black Americans? As for conservative white Americans, all hostility towards them is justified. Just because they didn’t put the noose around Smollett’s neck, doesn’t mean they didn’t want to. Yes, shame on Smollett. And yes, he needs to make amends. But Jones is missing the elephant in the room, namely, the justification of anti-white sentiments, sentiments that were whipped into a frenzy by comment after comment by pundit after pundit and celebrity after celebrity, all of whom embraced the Smollett story without question. Van Jones and his colleagues need to be asking: What about the insult to conservative white Americans? What about the long-term, after-effects? To be candid, I’ve interacted with a lot of people about this story, some in the media but most not. Yet in all my interaction, I’ve not heard from a single person who drew general conclusions about blacks based on this debacle. In stark contrast, as has been demonstrated in article after article and commentary after commentary, all kinds of conclusions were drawn about conservative white Americans after the Smollett story. Ugly conclusions. Vicious conclusions. Dangerous conclusions. And those conclusions were felt to be justified, even without any confirming evidence. Even though the story was suspect from the start. No facts were needed. Conservative whites (especially males) are guilty. Always. Simply stated, the hoax attack served to confirm the anti-white, anti-conservative sentiments that are so prevalent in our society today. That hatred was stirred up as the shaky story could be maintained. Now that it has collapsed, I don’t expect to see a lot of hatred coming to blacks (or even to gays) in general. That’s not the popular narrative, and that’s not where Van Jones and others will be focusing. Redeemed? As in, “If there is any way that the anti-white, anti-conservative narrative supported by the hoax crime can be redeemed, I hope it can be”? Or does Jones really think that suddenly, because of the Smollett hoax, Americans will no longer care about anti-black racism or “homophobia”? It’s almost as if the talking heads on the left, whatever their color, are really upset the story isn’t true. It’s as if they are not color blind but rather blinded by color. 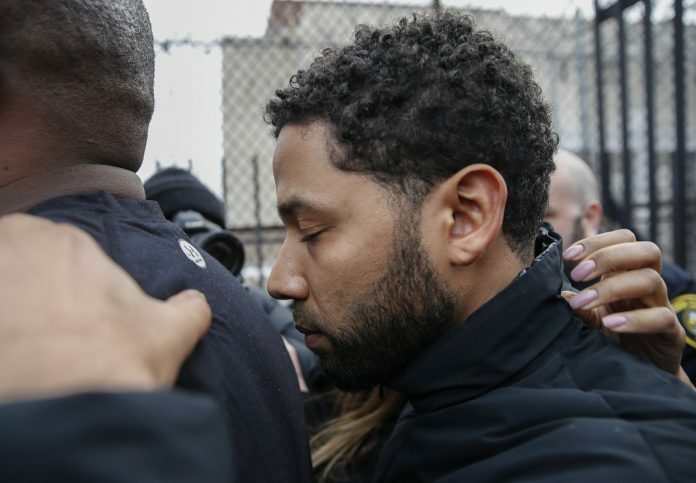 For them, the Smollett story served a great (and ugly) purpose, and it’s a shame that it couldn’t be sustained. The real irony in all this is that those who have been the objects of racial prejudice have become the practitioners of racial prejudice. Those were deemed guilty simply because of the (black) color of their skin have now damned others because of the (white) color of their skin. Previous articleHow Can We Be So Numb?